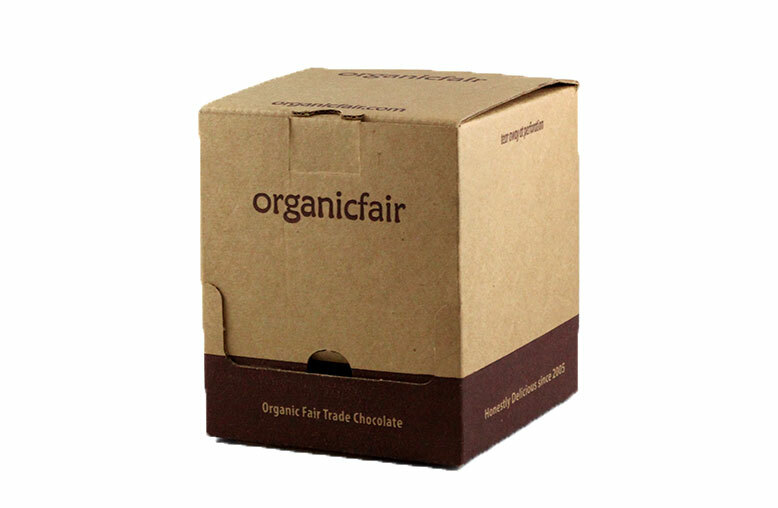 Organic Fair Chocolate is a company that has been making chocolate bars since 2005. They are very serious about organic, fair trade dark chocolate which they mix with different flavours in their chocolate bars. 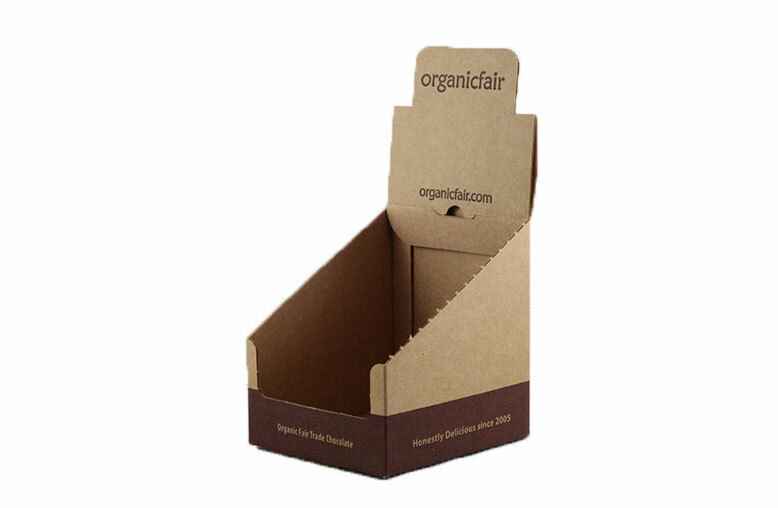 This image shows an example of a counter display shipper box which we manufactured for Organic Fair and their chocolate products. The box is both a counter display and a shipper box. The slide show shows images of both the shipper box and the set up counter display. For more information about counter displays please contact us.